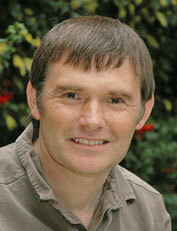 Dominic Couzens is a leading ornithologist and one of the most prolific writers of bird books. Dominic enjoys discovering new and remote birding sites, searching for extreme species and sharing his experiences with small intimate groups of birders. He has travelled widely in search of birds and the world’s top birding sites. Dominic writes regular for natural history magazines including BBC Wildlife and Bird Watching.